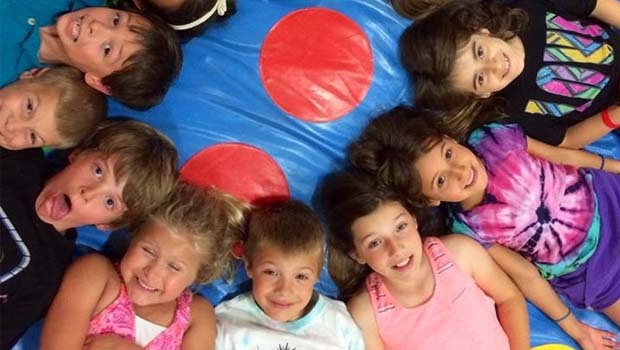 Franklin Athletic Club Kids Calendar – Franklin Athletic Club in Southfield hosts AWESOME kids events and specials at their state of the art 225,000 square foot facility! Fun-filled evenings of pizza, games, crafts, inflatables, movies, crafts and more! Some events even feature swimming and movie pajama parties. For kids ages 1-12. $25 per child. To register, call Laura Barrick at 248-352-8000 ext 314. Review – pics. Special spring Play Date with some inflatable play and fun in the gym. Bring a basket to collect eggs as we go on a special egg hunt and have a special visit from the spring Bunny. For ages 1-5 yrs. Register on line at franklinclub.com or by emailing Lori at lallmacher@ffrc.net. $10 per family. Meet camp staff and come and see what camps Franklin Athletic Club has to offer this summer. Whether your child like a variety of activities or wants to focus on tennis, dance, swim, gymnastics, or basketball, we have something for all! Specialty camps include Pistons Academy, Minecraft, Yoga, Gymnastics, Volleyball, Lego, Nerf, Nike, Fit Girl, Flag football, and so much more! 10% discount that day! Camps start as low as $4 per hour. Hop on in for some fun on the inflatables and an egg hunt for of fun prizes! Ages 1-12. Register on line at franklinclub.com or by emailing Lori at lallmacher@ffrc.net. $10 per child. Come on in dressed up as a Cowboy or Cowgirl and get ready for FAC Wild West Gymnastics Celebration. Help Catch the bad guys, find some gold, saddle up & race to the watering hole. Includes, gymnastics, games, inflatables, craft, and snacks. $10 non-members/$5 members. $5 walk-in fee if not registeredy by 5/10. To register, or for more info, contact Miss Kathy at 248-352-8000 ext 342.